Made by me using brushes (slightly blurred and shadowed) and layer styles. Very cute clouds. Thank you very much. 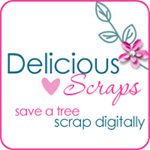 Hello I was wondering if I caould add your blog to my freebie finder, its like digifree.